Our school is centered on the Gospel of Jesus Christ, focused on both academic excellence and personal growth, and welcoming of all who seek to learn and grow in a caring, Christian environment. Our school develops students to be lifelong learners and critical thinkers who serve and lead those around them. 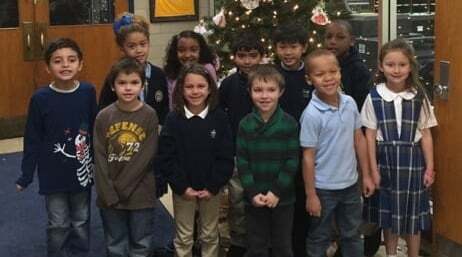 Our school serves both the faith community and the common good of society by educating students to become active and caring members of their communities, cities, nation, and world. Caring and dedicated teachers and staff who strive to help students be successful. All teachers are certified by the State of Ohio. All teachers hold various levels of certification in Religious Education. Basic Skills Teachers who tutors students 2 days a week in K-3rd Grade. Full time Tutor serving K-8 students Monday - Friday. Before and After Care to assist working families. Morning Care opens at 6:30am and After Care resumes at dismissal until 6pm. 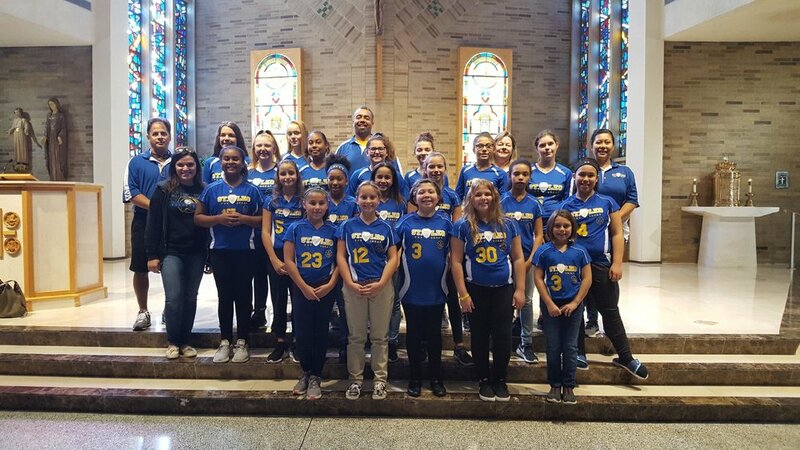 CYO Program that offers sports for grades 3-8. Caring and supporting Parent-Teacher Community that collaborates to put on fun activities for students and their families throughout the school year. Examples of this are, Trunk or Treat, Breakfast with Santa, Boy Scouts, Girl Scouts and much more. Opportunities to apply for free/reduced lunch in addition to purchase a hot lunch every day. Accepting Cleveland Scholarship, EdChoice and Expansion Scholarships. The enrollment for 2018-19 school year in grades K through 8th is 256 students. All employees and volunteers who have contact with students undergo thorough screening , including background checks and through the Ohio Bureau of Criminal Investigation & Identification (BCI & I). For complete information on screening policies, see the revised Policy for the Safety of Children in Matters of Sexual Abuse, section 1.2 (p. 3).